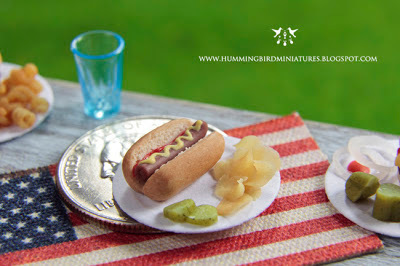 Hummingbird Miniatures: Happy Independence Day! Hope you're all having a blast this 4th! 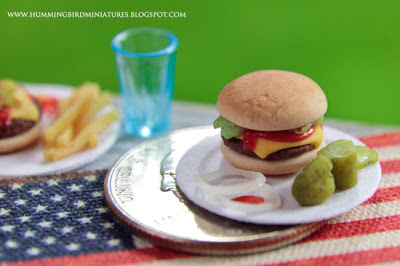 I am about to head out and buy chips and dip for a 4th July BBQ here in California. 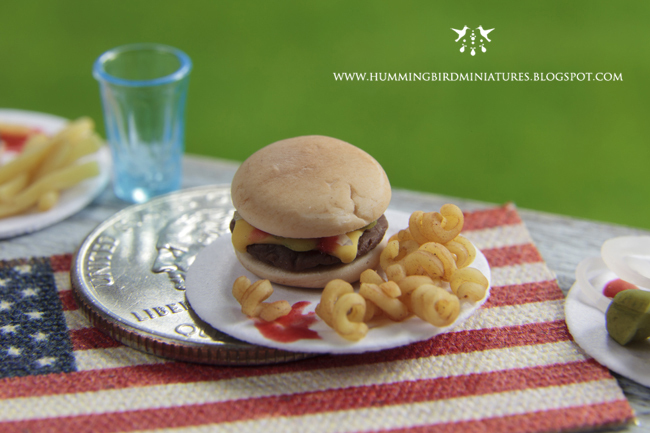 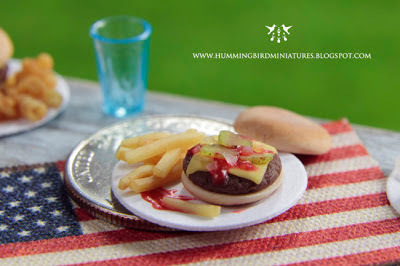 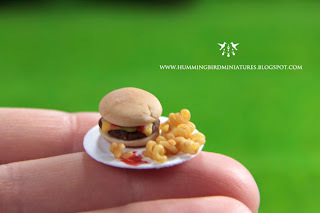 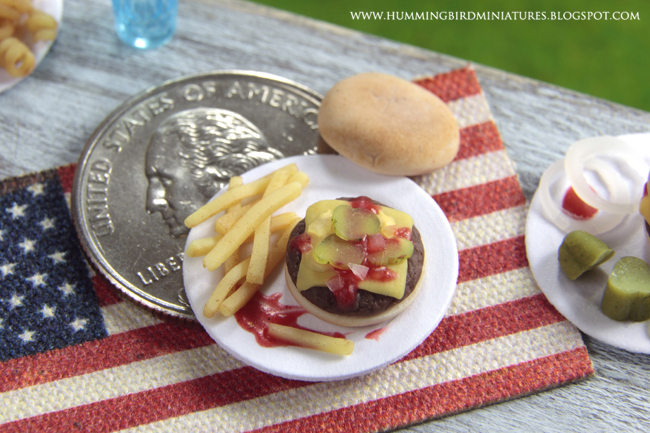 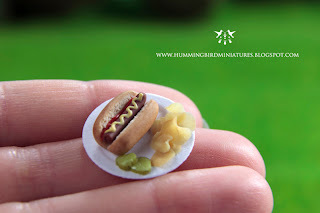 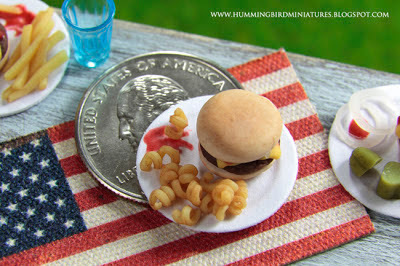 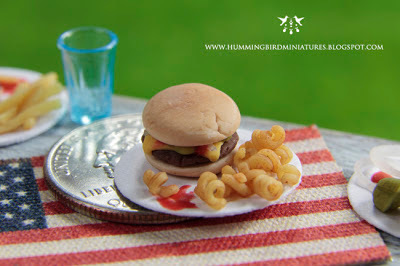 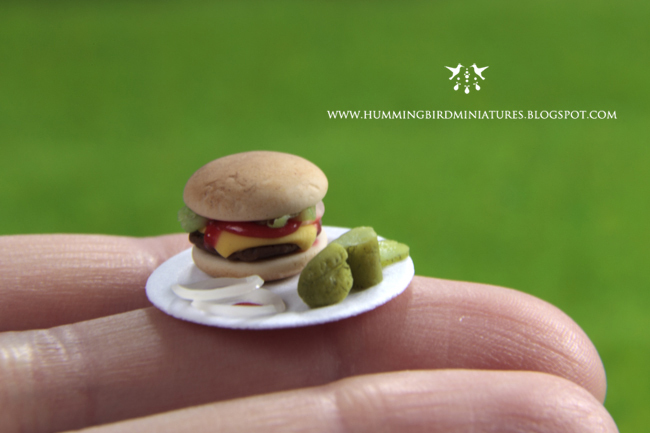 I have listed some 4th July items at my online Hummingbird Miniatures Etsy shop, so if you're celebrating it in your miniature world then grab a burger or hot dog in one inch scale. 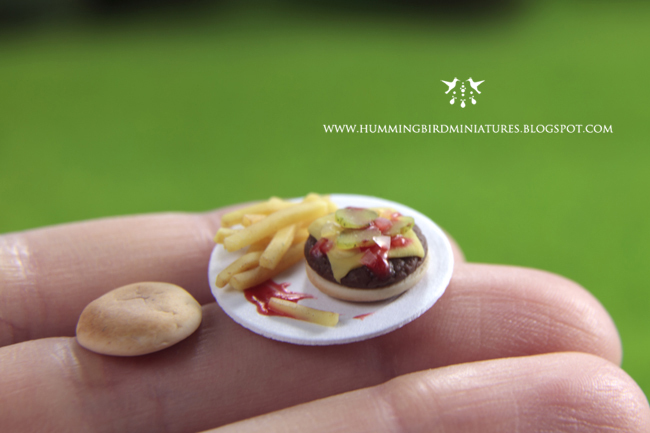 Don't miss the 'making of' photos of this range here, and the previous post showing the final photos here. This food is perfect for the Indipendence Day.